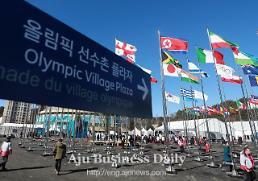 The server of an official online store for Winter Olympic items, run by organizers, got crashed due to a sudden increase in orders placed by those trying to grasp long padded "Pyeongchang jackets" which gained sudden popularity. 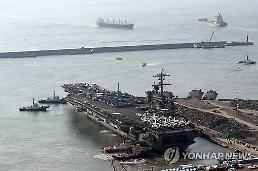 The online mall for the Winter Olympics in the eastern ski resort of Pyeongchang remained paralyzed for several hours on Friday morning due to a traffic bottleneck. To disperse traffic, operators direct buyers to offline stores with an out-of-stock notice. Offline stores also run out of stock. 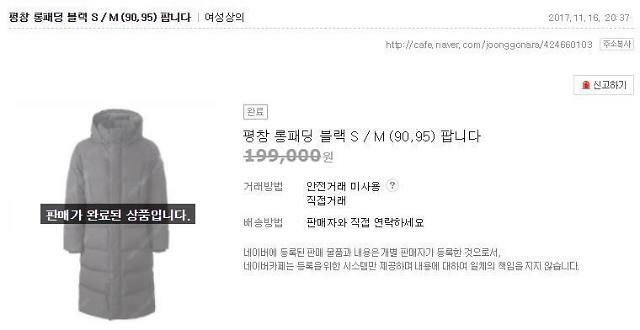 A long padded jacket with a simple design was originally sold for 149,000 won (136 US dollars), but secondhand online markets sell it for 200,000 won. Along with reasonable prices and good quality, the jacket met the favor of this week's cold weather. 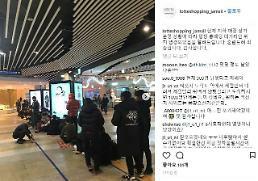 However, the craze was triggered by K-pop celebrities including EXID's Hani, Park Shin-hye wearing the jackets carrying black, white and gray colors.